Local Canberra engineering consultancy Barmco Mana McMurray have won the 2015 ACT Telstra Business Awards Micro category. Finalists in 2014, the second time round proved a charm for the driven, dedicated team at BMM. BMM tribute the win to their amazing hard working team as well as the support from their clients and associates. 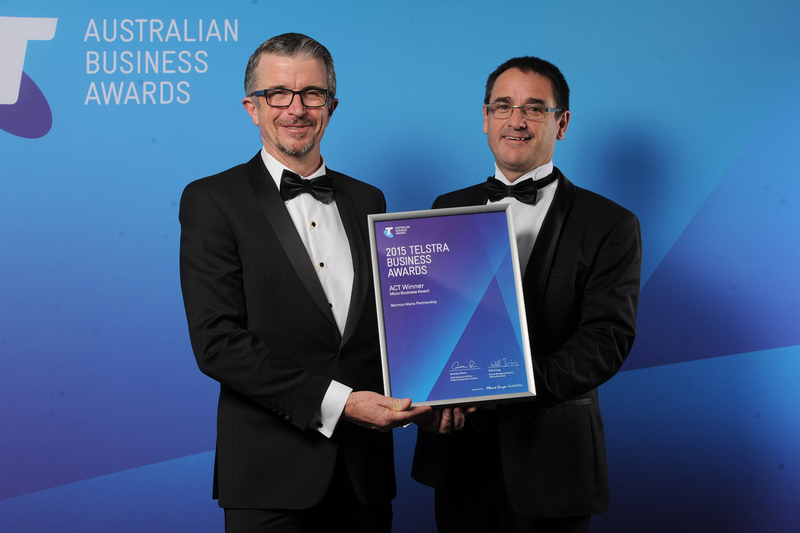 Telstra Judges said the business has strong operational excellence, processes and procedures, and a clear presence in Canberra. They also praised the strength of its marketing plan, financial planning and risk management procedures. A special mention to Red Robot who won the overall ACT Business of the year, they along with Barmco Mana McMurray head to Sydney mid August to compete on a National level- good luck!